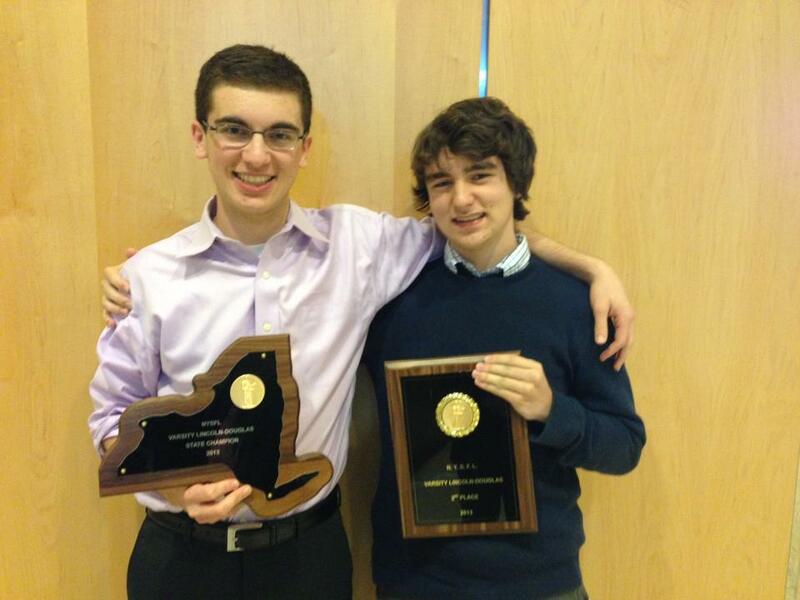 Mineola, NY-Congratulations to Scarsdale’s Noah Thaler and Fordham Prep’s David Joannides. In a hotly contested final round, Noah emerged victorious. Congratulations to both debaters! Noah is coached by Nikhil Nag and Joe Vaughan. David is coached by Matthew Khoury, Jonathan Dunworth, and Tom Cameron. Regis PeMc advances without debating. Scarsdale NT advances without debating.